This trio makes brake bleeding an easy, one person job. The Cable Mount Bleeder Bottle features a stainless steel lanyard that is perfect for hanging the bottle from the bleeder screw or a lug stud. This bottle features no spill/no leak hose storage bung and bottom tube fluid entry. The large 16 oz. 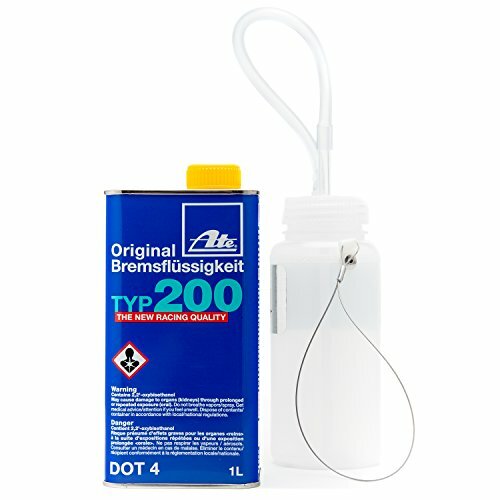 holds twice the fluid as those other bottles, which allows more flushes before having to empty. The Motive Products 0100 power bleeder works on most European cars, including Alfa Romeo, Audi, BMW, Fiat, Mercedes, Peugeot, Porsche, Renault, SAAB, Volkswagen, Volvo, and all other cars with 45mm threaded hydraulic fluid reservoir caps (This kit includes adapter 1100). It also fits some GM clutches. 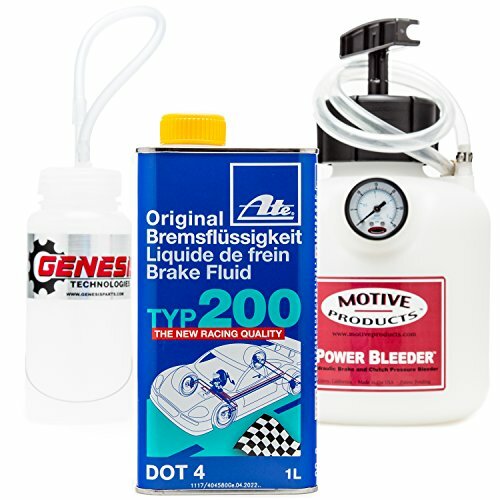 ATE Type 200 high performance Brake Fluid is ideal for coping with the extreme demands posed by motor racing, autocross, or high performance driving. 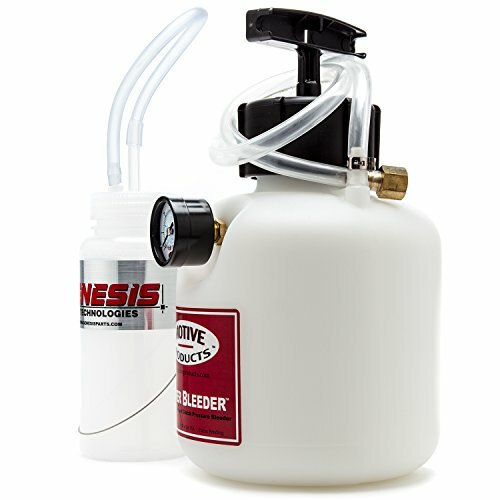 This fluid is NOT SILICONE and is compatible with conventional brake fluid. If you have any questions about this product by Genesis Technologies, contact us by completing and submitting the form below. If you are looking for a specif part number, please include it with your message.